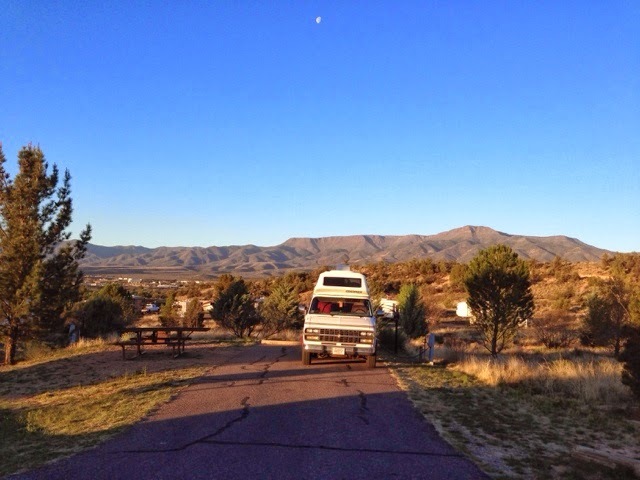 Morning breaks over our campground in Cottonwood, AZ, just south of Sedona. It was a very nice State Park with the nicest, cleanest bathrooms and showers yet. Our campsite. 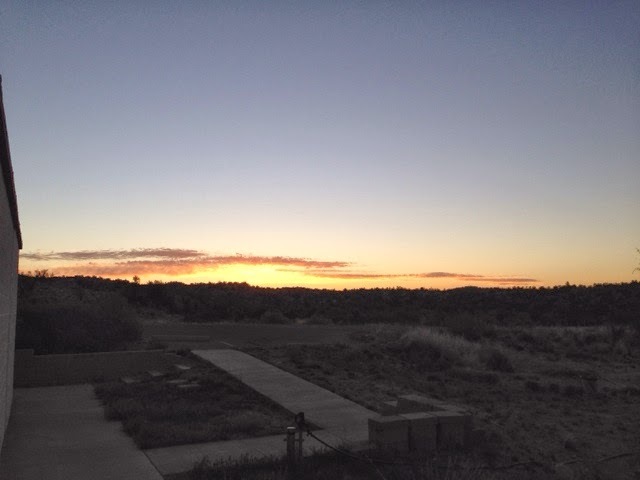 Check out the dot in the sky. The moon is about to set. 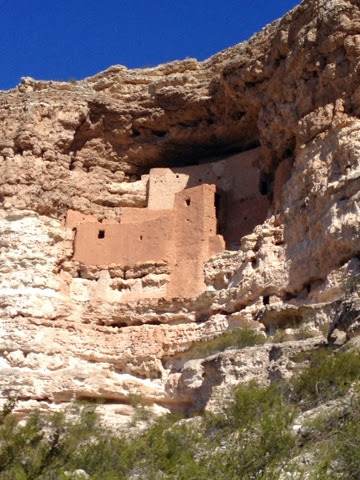 We drove to Montazuma's Castle on the way back to Phoenix. This National site is just off of I17. My senior pass got us in at no charge to show Brianna the cliff dwellers houses. A stop at the very large Mesa, AZ flea market. 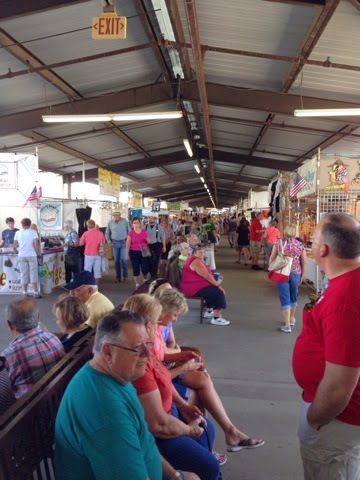 This is a look at 1/4 of the size of this fleamarket. Brianna found a silver ring she liked with a southwestern look. We had dinner at a place I like near the Superstition Mall called BJ's Brewery. Then on to park our car on the light rail system so we can go downtown Tempe and then back to pick up Breanna's bags and take the train to the airport. She would like me to see her to security and I am glad to do it. 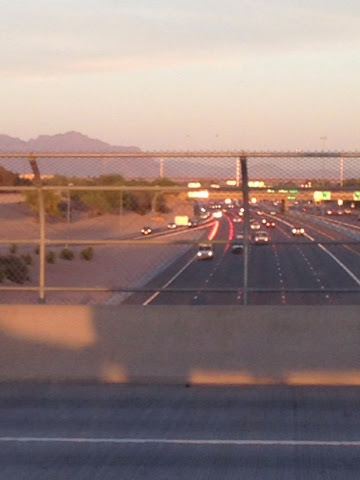 Below is a picture of the westbound 60 in Mesa with the sun so low the road reflectors shining red as they would look if you were driving the wrong way. This only happens with the sun at the right angle. 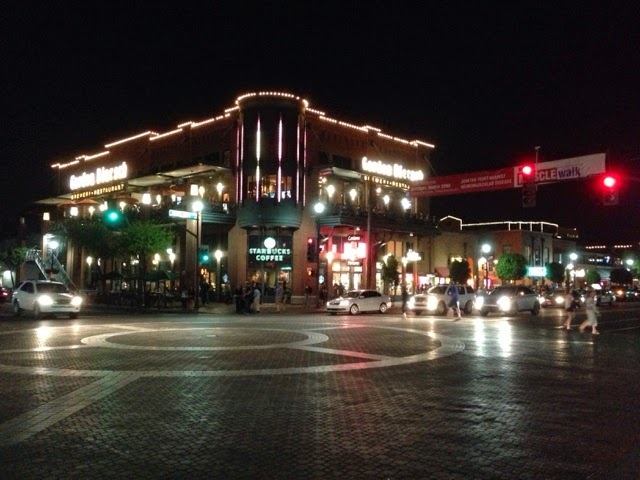 A walk around downtown Tempe. 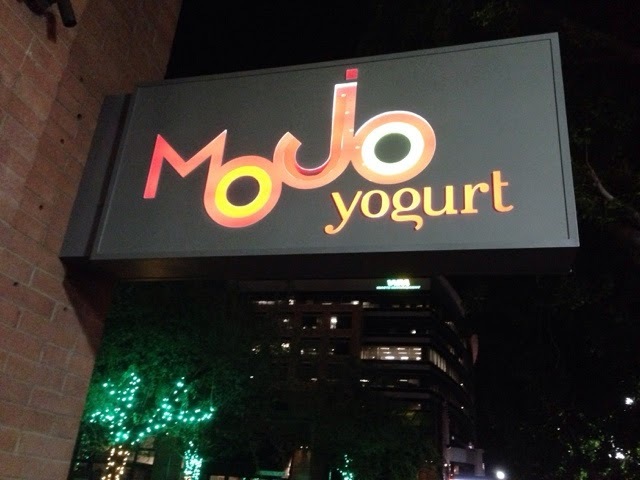 A stop for a frozen yogurt treat. 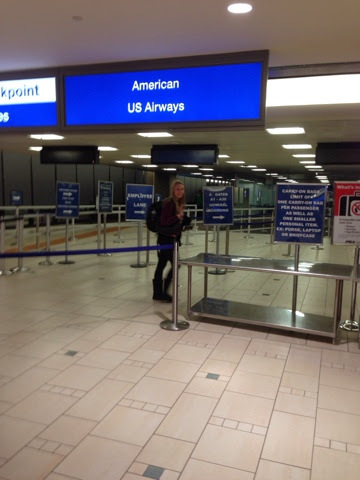 Saying goodby to Brianna as she enters security for her red eye flight home. I couldn't have been happier to have had Brianna visit me in the trip. We share the strong like for tee shirts and shorts each day. Brianna & I had a great time. We like doing new things and keeping busy. There was no down time other than to sleep. A great travel partner! As for the bike, replacing it was an un welcomed cost on the trip, but I have the knowledge that it was near the end of its life. I was more frustrated to loose the mirror, security cable, rear light, and having the bike carrier damaged.